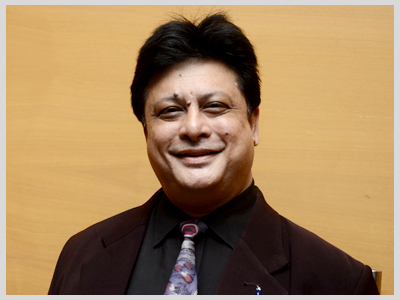 Amitesh Banerjee is a passionate communications professional with three decades of multi-country experience in marketing communications, including two decades in the PR profession. After a 14 year successful assignment as Head of Communications, Seychelles Marketing Board, where the President of the Republic was the Chairman of the state owned parastatal, Amitesh returned to India and has worked with leading communication consultancies in senior positions over the past 10 years. These include Associate Director Strategy & Market Development with Perfect Relations, General Manager - Comma Consulting, Managing Partner West - Genesis Burson-Marsteller and set up the Tourism Hospitality & Leisure Practice of Adfactors PR from scratch as Vice President based in Mumbai. Before taking up the challenging leadership of Kathan Consulting, a boutique Communications and Branding agency Amitesh was Senior Vice President of Comniscient Group, one of India’s leading group of communication firms. Amitesh continues to serve as a Consultant with Comniscient group and is on the faculty of the Indian School of Business & Media. He also loves to share his knowledge and trains other communications practitioners. With the firm belief of being a catalyst of positive change- Amitesh loves life and cherishes it as a valuable gift from God.